The travel experience is a highly emotional one, which is why the most beloved tourism brands are increasingly shifting from basic target marketing to strategies that inspire emotional responses from their core audience. 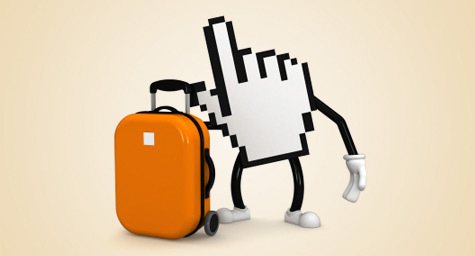 Adtech recently touched on this travel trend and offered the following five tips for creating more meaningful consumer connections. 1. Initiate Conversations – Get people talking by asking for their opinions, then expressing genuine interest in the answers. Ask consumers how they feel about your brand. Find out what matters to them in a travel experience, then ask how your brand could better fulfill their needs. Most importantly, listen to their thoughts and validate their views. Your interest and concern will make them feel appreciated and will likely be remembered when their thoughts turn to travel. 2. Personalize Your Communication – To maximize your social media efforts, have a staff member dedicated to engaging and interacting with your fan following. This makes people feel like they’re connecting with a warm person rather than a cold brand. Be proactive and search for all comments about your brand on sites such as Twitter, Travelocity, Yelp and TripAdvisor. Then, respond when necessary. In case of complaints, thank the consumer for their feedback and immediately resolve the issue by providing some kind of incentive to experience your brand again. 3. Control Your Image – Determine how you want your brand to be perceived, then create an environment that fosters that image, both on-premise and online. Provide on-site activities and accommodations that convey your brand’s image and values. Then, use social media to solicit conversations and feedback that relate to those guest experiences. 4. Keep It Real – Not every travel experience is picture-perfect, so turn unplanned events into welcome surprises. For example, a tropical destination should have promotions and activities ready for rainy days rather than pretend like they don’t exist. In addition, using actual guests and true stories in your marketing can evoke a very real, relatable emotional response. 5. Court Consumer Sharing – Encourage guests to share their travel experiences and share their stories. Hold promotions for uploading fun photos. Add “share” and “like” buttons to your website and blog, and don’t be shy about asking for fans. All these efforts will make your guests feel valued, which will ultimately lead to greater value for your marketing.